Yoga Nidra means psychic sleep. It is a state of sleepless sleep where one is on the borderline between sleep and wakefulness. It is a state of inner awareness and contact with the subconscious and higher consciousness. In practice the mind should be taken up totally with the instructions, you must remain minutely aware throughout. Do not slumber. Do not try to understand or rationalize any of the words. Practice yoga nidra lying down with the head flat on the floor in shavasana. The body should be straight and the head in line legs slightly apart and arms close to the body with palms upwards. Lie completely still. The body must be totally relaxed with the clothes loose. 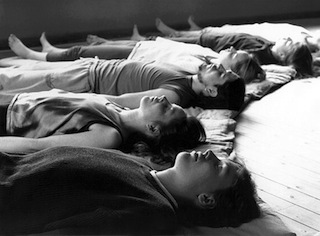 There should be no physical movement once yoga nidra has begun. A resolve or sankalpa is made during the practice. It should be something of immense importance to you. Resolves are short sentences of moral significance to be embedded in the subconscious. This autosuggestion is very powerful. Your sankalpa should be repeated several times during the practice and should be repeated in the yoga nidra for days and days together. Reflect on your resolve immediately after yoga nidra before opening the eyes. If one practices yoga nidra before sleeping, the sleep will be deep. One will need fewer hours and one wakes up feeling fresh and energetic. In yoga nidra, the physical centers of the body become introverted. This is pratyahara. When the mind is fixed on a center, blood and energy are drawn to it and this causes withdrawal of the senses at that center. In the deep state of relaxation that results, tension is released, the mind becomes clear and thoughts are more powerful. In psychic sleep we contact our inner personality to change our attitude towards ourselves and others.